The bankers huddled with Hank Paulson and Tim Geithner at the New York Fed’s downtown Manhattan office on the weekend of the Lehman crisis were there because they played a central role in the provision of global credit. I say this because the size of the balance-sheets of the broker-dealers is the best available explanatory variable for global asset prices. I use broker-dealers, market-makers, and banks interchangeably to mean the small number of big banking firms that make markets, have access to the Fed’s window, and maintain large positions in the wholesale lending market. Their importance comes not just from their trillion dollar balance sheets but also from their role as marginal providers of US dollar credit. The equity of the broker-dealers doesn’t move much (see next chart). 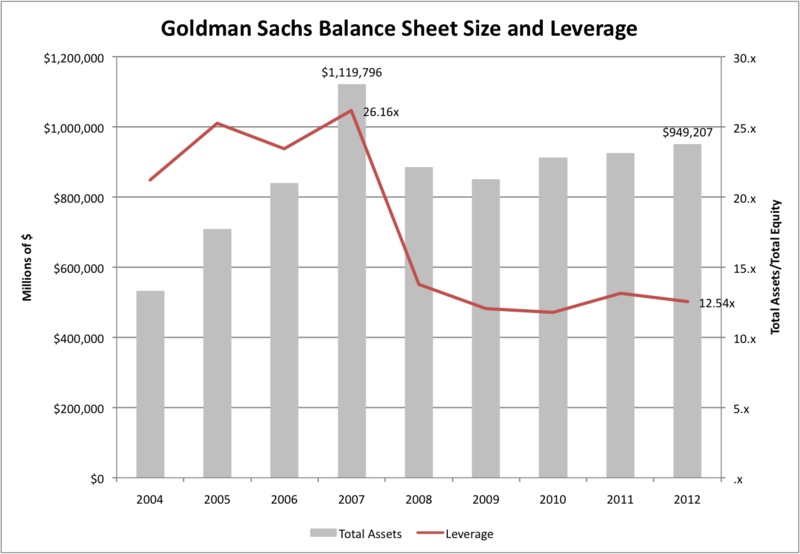 Instead of raising and retiring equity, banks resize their balance-sheets by raising and lowering their debt levels. And it is the book leverage of broker-dealers that is the best predictor of global asset prices. For instance, controlling for the leverage of the broker-dealers, variation in the balance sheet quantities of commercial banks and shadow banks adds little predictive power. Developments in intermediary asset pricing since the onset of the Western financial crisis by a number of scholars (many affiliated with the BIS) have led to a very coherent picture of the global financial system. Global asset prices strongly covary and are in fact largely determined by a single global systematic factor (usually captured by the VIX) that explains two-thirds of the variation in asset prices. The explanation is straightforward: The volatility of asset prices determines the VaR constraint facing the broker-dealers who modulate their leverage to maintain a constant probability of default. That is, they follow the VaR rule which can either be seen as a regulation or a contract solution to an asymmetric information game between the banks and their counter-parties. Either way, it captures the empirical behaviour of banks quite precisely. This optimization behaviour of the broker-dealers is procyclic and potentially destabilizing. Larger balance-sheets mean easy credit implying lower asset price volatility, which in turn results in even larger balance-sheets and so on. Symmetrically, smaller balance-sheets mean tighter credit implying lower asset price volatility and therefore tighter VaR constraints that banks respond to by shrinking their balance-sheets further. One can think of it as the money multiplier. Indeed, this is the central transmission channel of US monetary policy. 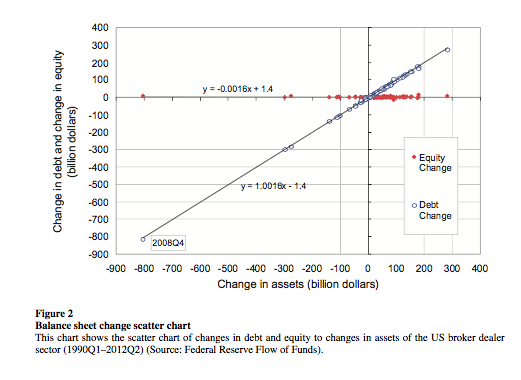 Monetary shocks are amplified by the optimization behaviour of the broker-dealers. Lower policy rates push down systematic volatility that allows banks to increase their leverage putting further downward pressure on systematic volatility and so on. Global banks are also at the heart of the international transmission of US monetary policy. The US monetary stance is so central to global markets that it prompted a paper by a researcher at the Bank of England as whether the United Kingdom has an independent monetary policy or whether it is a slave to the Fed. US and European banks extend cross-border dollar credit directly to local firms as well as indirectly by lending to local banks (which in turn lend to local firms). It is in this manner that US monetary shocks propagate internationally. The odds of a Fed rate hike this week embodied in the futures price of the 30-day bill are about one in four. I think that is too high. It’s hard to see how the Fed can hike in light of the developments in China; especially since there is no sign of inflation getting anywhere close to mandate levels. Intermediary asset pricing theories can help us anticipate the response of global markets (especially term and risk premia) when the Fed does get off the floor. For now, just observe that developments in China mean that volatility is likely to be higher thus forcing tighter credit conditions globally and pushing down asset prices even in the absence of an exit from the zero lower bound. This bodes ill for the global asset price boom, especially for emerging markets which are the first to get culled when risk premia rise.